EghtesadOnline: An evolutionary, participatory plant breeding approach compatible with the Iranian environment has been successful in reducing vulnerabilities of small-scale farmers, improving crop yields and boosting crop resilience to drought and other stressful events. The above outcome was declared in the 2018 report on the State of Food Security and Nutrition in the World published by the Food and Agriculture Organization of the United Nations. Losing agricultural biodiversity reduces the opportunities to cope with future challenges, including a changing climate. Biodiversity is also an important driver for enhancing the resilience of small-scale family farmers to climate change and drought, as well as pest and disease outbreaks. In the Islamic Republic of Iran, planting only a small number of improved crop varieties instead of several traditional varieties has resulted in the loss of agricultural genetic diversity. Thus, farmers need seeds that are better adapted to more intense climatic variability and shocks. Traditional crop varieties represent a valuable source of agricultural diversity, as they have evolved through a combination of adaptation to local environments and generations of genetic selection. It is widely recognized that traditional varieties often have much greater resilience to drought and other stresses, although they yield lower outputs in favorable conditions. Furthermore, they often do not need chemical pesticides and fertilizers and require less water. The concept of evolutionary, participatory plant breeding in Iran is aimed at increasing crop yields and resiliency using site-specific approaches. 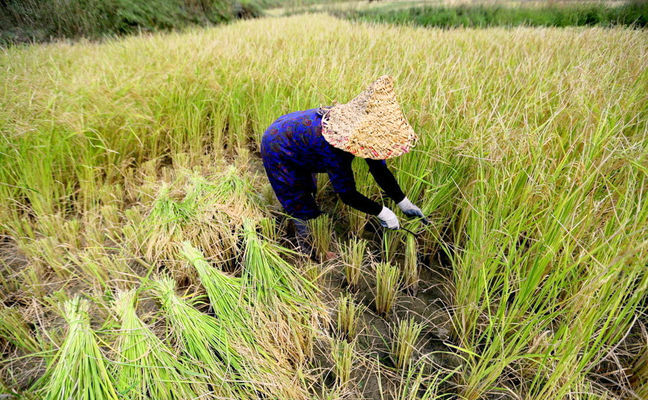 It was introduced by the Center for Sustainable Development, the International Center for Agricultural Research in Dry Areas, the Rice Research Institute of Iran, the departments of agriculture in project provinces, farmers and farm associations, along with the International Fund for Agricultural Development. In this approach, farmers used the best seeds from trial plots combined with traditional varieties for the next planting season to create an assortment of varieties that were highly regulated. After only one cultivation season, this approach yielded better results than cultivating only a single crop variety. By growing a combination of varieties, the crops became more climate-resilient. The increased diversity of their genes allowed them to evolve and adapt to climate variability and unpredictable weather patterns.